Community Builder is a growing social enterprise unit of Melbourne's Community TV and online broadcaster, C31. Our purpose is to build the digital capacity of Victoria's not-for-profit sector by developing communication campaigns that aid the activities of partner organisations. Community Builder offers cost-effective ways to grow online audiences, communicate with stakeholders and participants, collaborate across community sectors, attract funders and donors, and tell stories across multiple online platforms. Loud Days is a digital marketing agency that delivers daily implementation and high level campaigns with a focus on achieving business objectives and adding ROI to business’ bottom line. Utilising digital tactics including strategy, social media, social media advertising, content creation, marketing automation, and analytics, Loud Days ensures all strategies are measured, accountable and accessible to businesses across Australia. 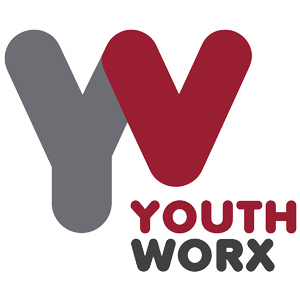 Youthworx Productions is a not-for-profit film production company that creates professional videos with a social conscience. We are the big sister to Youthworx Media – an accredited training program created to assist marginalised young people, giving them the necessary tools and skills to realise their full potential as creative, engaged members of society. Youthworx Productions is the next step for these newly qualified film trainees and under the mentorship of accomplished media and production specialists we create award-winning films while positively reinforcing that earning a living can be fun and creative! The Community Broadcasting Foundation supports and champions community-owned and operated media to connect people and tell vital, local stories so that we have a vibrant Australian culture and a healthy democracy. Each year the CBF provides more than $15 million in funding to support the 500 community broadcasting services operating in communities across Australia. C31 Melbourne and Geelong - the Melbourne Community Television Consortium is Victoria's not-for-profit community television service providing locally-based entertainment, education and information. Transmitted from Mount Dandenong and broadcasting to the world, C31 provides access and representation to the many diverse communities within Victoria. You can find faces, voices and issues which are not present in mainstream television. We broadcast over 90 new locally-made programs every week on TV and online. These programs are produced by community television volunteers, independent television makers and online creators. Could your organisation use some help building and connecting with your community online? Please get in touch for a chat with the Community Builder team. Thank you! You'll be hearing from us shortly.